Audi’s flagship SUV, the Q7 offers an irresistible combination of muscle and luxury, sporting robust yet athletic styling and an interior that envelops you in comfort while also providing the very latest in the brand’s technology. Slender, geometric headlamps and a trapezoidal grille with silver edging announce the arrival of the new Q7. Like other models in the manufacturer’s line up, it features crisp, clean lines that convey a sense of dynamism and simplicity, while a flowing roofline with integrated roof bars lend fluidity and practicality. The rear continues the understated appeal of this powerful SUV, featuring a low bumper and taillights that mimic the shape of the headlights. The luxurious interior reflects the minimalist nature of the exterior, keeping things clean and simple with an uncluttered dash and classy materials. It can be personalised with a range of colours and finishes to suit your tastes, while contoured seating provides the utmost in comfort for all. As you’d expect in a luxury SUV, the Audi Q7 offers an unrivalled level of space, ensuring passengers in both rear rows have plenty of head- and legroom. The layout is fully configurable as well, enabling you to achieve the ideal balance between passenger and luggage space of every journey. The Audi Q7 comes with two robust 3.0-litre V6 diesel engines, both of which deliver the pulling power to achieve effortless acceleration and a smooth, refined cruise once up to speed. Despite being in a large vehicle, you’ll still be able to reach 62mph from a standing start in only 6.5 seconds, with the eight-speed automatic transmission ascending through the gears without undue exertion. Fuel economy, meanwhile, is surprisingly impressive, with up to 49.6mpg achievable on the combined cycle and CO2 emissions reaching as low as 148g/km. Today’s drivers expect a comprehensive array of kit, and the Audi Q7 doesn’t disappoint. Four-zone climate control comes as standard to allow front and rear passengers to relax at the perfect temperature, while Bluetooth connectivity enables you to keep in touch on the go and satellite navigation makes getting from A to B easy. For rear occupants, a DVD player provides entertainment, while devices can be charged using the 12V sockets scattered around the cabin. A full complement of safety features is also a must for family cars, and the Q7 incorporates active and passive measures to keep everyone protected, including Automatic Emergency Braking, stability control, airbags and ISOFIX seat mounting points. 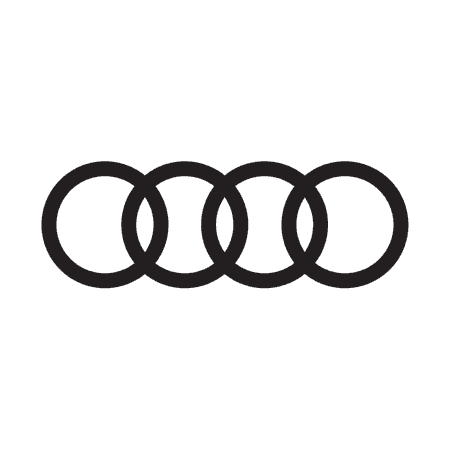 To find out more about the spacious new Audi Q7, contact our knowledgeable team today.